Falmouth – Mrs. Mary Edna (O'Doherty) Helfer, of Falmouth, died Sunday, April 29, 2018 at Maristhill Nursing Home in Waltham following a period of declining health. She was 81. 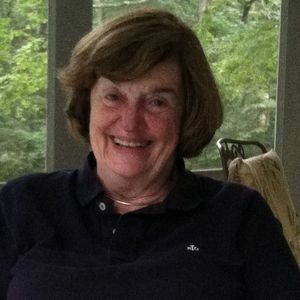 Mary Edna was born in Chester, Pennsylvania on April 11, 1937, a daughter of the late Edward and Mary Ann (McLaughlin) O'Doherty, both natives of Malin Head, County Donegal, Ireland. After high school she trained at Philadelphia General Hospital before becoming a registered nurse. It was at Philadelphia General that Mary Edna met physician resident and Syracuse, New York native, Ray E. Helfer. They married in June 1957 and enjoyed thirty-five happy years together before Ray's death in 1992. Following their marriage Mary Edna and Ray moved to Tuba City, Arizona where Ray fulfilled his military commitment as a government health service physician and later held the same position in North Dakota. After that they moved to Denver, Colorado where Ray became a member of the faculty at the University of Colorado Medical School and became a pioneer into research in the field of child abuse. In 1968 he co-authored with Dr. C. Henry Kempe the first major work in the field, "The Battered Child". In 1997 Mary Edna, along with Ruth Kempe and Richard Krugman edited the fifth edition of the landmark research. Following a move to Manhasset, New York Ray established the first child abuse program for the five boroughs in New York City. In 1973, with their growing family in tow, Mary Edna and Ray settled in East Lansing, Michigan where Ray continued his research and became a faculty member of Michigan State University Medical School. At Michigan State University Mary Edna earned her bachelor's and master's degrees in the field of continuing education and worked teaching in the medical school. Following the death of her husband, she moved to Denver, Colorado. She worked for the University of Colorado until her retirement. She then moved East and became a resident of the Teaticket section of Falmouth on the Cape. There she enjoyed many new friendships and involvements in church and civic activities. Mary Edna will long be remembered for her commitment to her faith, to her family and to her friends. As a couple, Mary Edna and Ray met life's challenges with grace, dignity and humor. They were serious about their work and counted their greatest accomplishment as being the proud parents of six children. She leaves her children, Sharon Lynn Fagenholz of Weston, Ray E. Helfer, Jr. (Sara) of London, England, Christopher D. Helfer (Lisa) of Alamo, California, Jennifer T. Helfer of Weston, David J. Helfer (Heather) of Alamo, California; her daughter-in-law, Susan Johnson of Dallas, Texas; her sisters, Catherine Robinson of Seminole, Florida and Rosella Stock of Severna Park, Maryland; fourteen grandchildren, three great-grandchildren and several nieces and nephews. Mary Edna was also the mother of the late Jeffrey P. Helfer and mother-in-law of the late Robert Fagenholz. Family and friends will honor and remember Mary Edna's life by gathering for her Funeral Mass at 11 a.m. on Saturday, May 5th in Saint Julia Church, 374 Boston Post Road, Weston. The following Saturday, Mary Edna will be laid to rest beside Ray at Mount Hope Cemetery, Lansing, Michigan. Life Stories provides friends and families a forum to post their favorite stories and memories of Mary Edna (O'Doherty) Helfer ensuring the precious experiences are never forgotten. Share joyful times, post a photo that captures the moments you cherish, and allow others to reply, relive and remember.